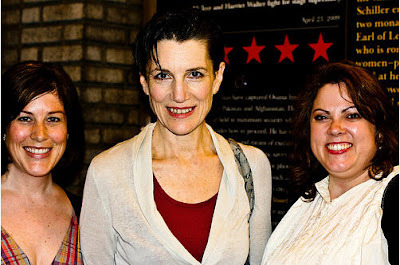 We were indelibly changed over the summer: we saw Mary Stuart on Broadway, numerous times, but not nearly enough. We loved it for its sheer poetry, its ferocity, its beauty, its simplicty and most of all its actors - especially Harriet Walter who so subtly and smartly played Queen Elizabeth. We swooned like fan girls at the stage door. We made up games about her, thanks to a camera mishap at the Tony Awards (both she and her co-star the inimitable Janet McTeer were nominated for Best Actress in a Play). 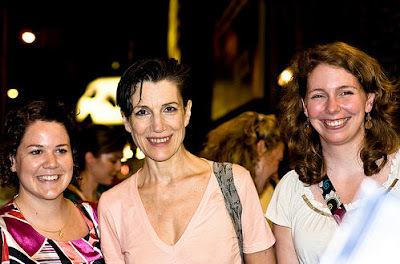 It became the Summer of Harriet Walter. Then it happened. Our leader Karigee revisited a Dorothy L. Sayers book. Turns out, since Karigee is no dum dum, she also knew that Harriet Walter had starred with Edward Petherbridge in series of television movies based on the Sayers books. At this point, Karigee really fell hard, taking Roxie and me with her. Thus was born the Dorothy L. Sayers Traveling Book Club and the Harriet Walter Society. On Saturday, we devoted our weekend to Harriet Walter, and thereby Dorothy L. Sayers and Jane Austen too and even another favorite mystery writer of mine, Dame Agatha Christie. We began our day at The Morgan Library and Museum where we saw their Jane Austen exhibition. We then shared 24 hours of viewing of various Harriet Walter: Dorothy L. Sayers Mysteries (The Lord Peter Wimsey-Harriet Vane Collection - Strong Poison / Have His Carcass / Gaudy Night), the Poirot mystery Cat Among the Pigeons, and Sense and Sensibility (twice!) We supplemented the evening (and morning and afternoon) with reading favorite passages from the books and youtube clips . And though all of it may sound like fan girl love, it's so much deeper. 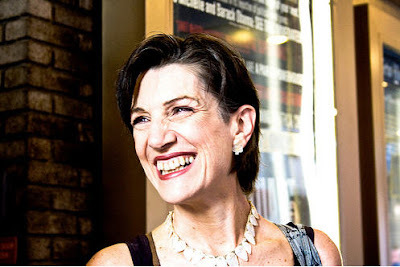 This love of Harriet Walter and Dorothy L. Sayers is a manifistation of like minds searching for inspiration through literature and performance. These Dorothy L. Sayers books are not mere cozy mystery novels, they are laced with beauty, brilliance, poetry and above all, true love. This society we have created glows with respect for these heroins (and our hero Lord Peter Wimsey) but also overflows from laughter and a sense of adventure. And while there are at least two who should be included and would be admitted to the society if they would only read Dorothy's masterpieces as we demand, it is small and cloistered and practically perfect as it is. I'm the official crafter?! Hooray! Nobody gets in without reading and loving DLS -- NOBODY. So sayeth Queen Hot Dog. But then, what are you SarahB? Corresponding Secretary? Master Word Puzzler? Chelsea, I think you know what you need to do. Or else. 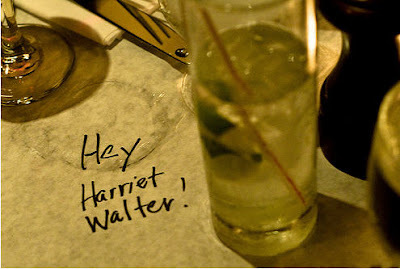 Don't make me Harriet Walter you. Roxie, yes that would actually be Recording Secretary and Chief Outing Planner. I was in your fair city this weekend, enjoying a Liv Ullmann experience, but reading Gaudy Night in between subway stops. 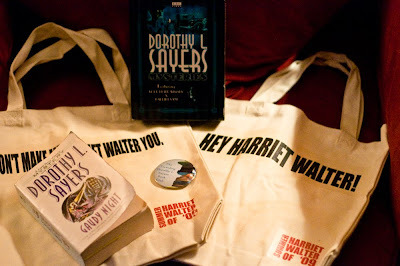 Missed the Hey Harriet Walter tote bags somehow. omg -- those tote bags -- brilliant. what if I read dorothy and then discover that I'm not on the potential admissions list? that might be too much to bear. Shari, those fabulous Harriet Walter bags are custom made and exclusive creations.